HOW TO RUN A CALIBRATION TEST FOR A BOOM SPRAYER. The consequences, especially with a herbicide, can be costly. Apply too much and the crop may be damaged or suppressed; apply too little, and weeds may be inadequately controlled. When calibrating the boom sprayer , first carry out the necessary calculations and adjustments on a section of road. Next, test the rig on the land; wheel slippage might result in a slightly higher volume than that used on the hard road. The difference will not be enough to be harmful, but it is worth taking into account – especially as it may vary from land to land, depending on the condition of the soil and whether it is an even, prepared land or has furrows formed into beds. Measure a 100m section of road. Decide on a suitable tractor speed for spraying by selecting the correct gear and engine speed. Use a permanent marker to mark the engine revolutions on the glass of the rev counter. In a suitable spot, mark the gear to be used. Bring the engine up to the correct speed and adjust the spray pressure to get the correct droplet size for the operation. Mark the spot on the gauge where the pressure needle should remain. With a herbicide, use a flat nozzle and adjust the pressure so that the droplets are the right size: the spray should not be so fine that it drifts away. Getting this right involves both pressure and nozzle size. When checking for drift, look at the spray from the front and the back; it is easier to see the fine droplets from certain positions. Measure the time it takes to drive the tractor for 100m and record this in a suitable place. Place a measuring vessel under a nozzle and let if fill for the time it took the tractor to cover 100m. Multiply this volume by the number of nozzles on the boom to obtain the volume of spray mixture applied over the width of the spray boom every 100m. If the spray boom is 10m wide, you’ll have the amount of mixture applied to 1 000m² (100m x 10m). Multiply this by 10 to obtain the volume in litres applied to 1ha. Before you spray the land, take the volume of the spray tank and calculate the area that the tank should cover. If you end up covering slightly less area due to the condition of the soil, make the new calculation and adjust the spray accordingly. To double-check, take the measuring vessel and walk behind the boom, collecting spray from a nozzle over the time it takes the tractor to cover 100m. Measure this volume to ensure that it conforms to your calculations. Check that each nozzle sprays correctly and all nozzles deliver the same amount. Inspect for damaged nozzles. Remember that nozzles wear out and deliver more mixture as a result. Most farmers use the correct product but neglect calibration as it requires extra work. The effort is worth it, believe me! PICHON offers a wide range of slurry tankers with capacities varying from 2,600 litres to 30,000 litres, built for professional use. Recessed tankers are offered to enable users to fit axle with big diameter wheels. The total volume of the tanker is preserved, the loss volume created by the recess is always compensated either by the length or the diameter of the tankers. Consistently seeking longevity, PICHON uses an industrial technology to the agricultural world: the integrated frame, the control of all the stages, from the design to the assembly, is guaranteed of quality and reliability. By its choices of engineering, PICHON reduces the weight of their tankers. The design of the integrated frame and gives a lower centre of gravity. The concept of the tankers TCI (Tankers with chassis integrated) is an unequalled proof of stability on the market, and thus makes the working conditions safer on the field and on the road. For 45 years PICHON have analysed, advised and suggested the ideal solution as each customers needs requires a personalised solution. Are you interested in buying a farm tractor? Given that tractors come in different sizes, have different power ratings and are produced by a host of manufacturers, you need to do some homework before you buy one to avoid future regrets. Some factors you need to consider before purchasing your tractor are listed below. The heart of the tractor, the engine provides the power to do heavy work. Most tractors run on gasoline or diesel fuel, with diesel engines usually offering more power than the gas counter parts. The strength of the engine is measured in horsepower, a higher number means more power, so large tractor with high horsepower is needed for intense farming tasks. The type of transmission is a key feature to consider, because it will make a big difference in the way the tractor performs. 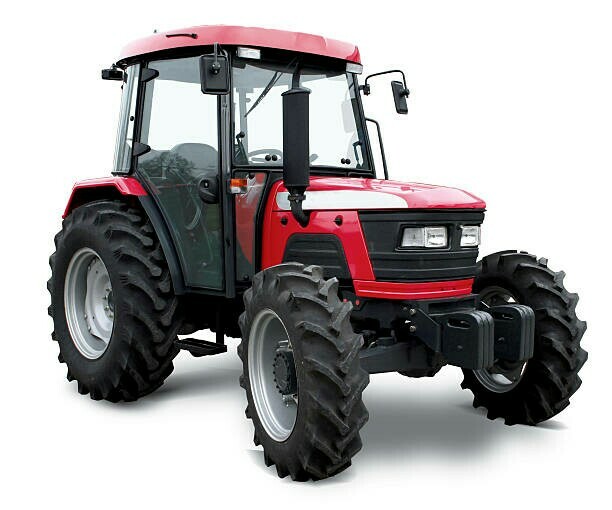 Some tractors such as those with hydrostatic transmissions, are driven with foot pedals, and increasing the speed of the tractor is as simple as pushing harder on the pedal, making these types of tractors very easy to drive. One of the most important parts of your machine, the PTO is a spinning shaft commonly located at the rear of the tractor. It provides power to attachments such as mowers and hay balers, and often has its own horsepower rating separate from the tractors engine. For the tractor to be used with other equipment, it has to have at least one type of attachment hitch. One of the most useful is the three points hitch, which includes a hydraulic lift for raising and lowering attached equipment: simple drawbar hitches are also common, as well as specialized hitches for attachments such as front-ended loaders and forklifts. Hydraulic power can be used in several ways. Hydraulic power steering can make turning easier, while power is also used for lifting attachments and power implements such as backhoes and front end loaders. The tires of a tractor are designed to provide lots of tractions so that the tractor can do heavy work. The tyres are traditionally filled with air, but it’s also popular to fill them with heavy fluid, such as automotive antifreeze or windshield washer fluid, that will give more weight to the tires and provide even better traction. When considering to buy a tractor, it is important to also consider availability of parts and servicing. It is better to buy a tractor from a known brand dealership that’s been in business for long time. Kuhn Feed Mixer Wagons-The Largest Capacity with the Lowest Height. The new single auger feed mixer offers a new solution for all farmers with difficult-to-acces buildings and/or who need a variety of distribution configurations. With capacities of 4 to 18 metre cubic the vertical auger mixers epitomise Kuhn’s expertise mixed rations. This new range has many advantages that will make it your best assistant in your farm. Wide choice of capacities- depending on your ration and size of your herd, you can choose from 4 models with capacities ranging from 4 to 18 cubic meters. Vertical Auger concept- this machine is extra versatile. Whether you are working with silage-based rations or fibrous rations, the auger calibrates the strands on demand and produces an excellent quality mix. Designed to last- the new single auger range is designed based on the double auger machines: integrated chassis, oversized angle gearbox etc. A highly accurate weighing system helps guarantees efficient management of fodder stocks and rational feeding. The electronic weighing system supplied as standard on the KUHN mixer range let’s you know exactly how much fodder is loaded into the machine and ingested by the animals.